NORWAY: Energy minister Terje Søviknes said the government will identify two offshore zones this autumn for pilot and demonstration offshore wind projects, but held back on supporting a full-scale industry. 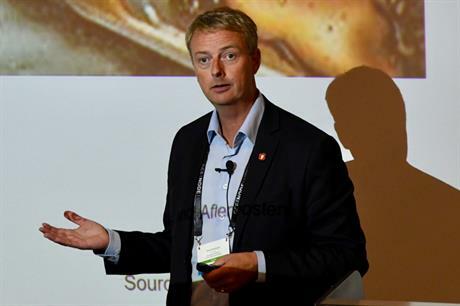 Søviknes was speaking at the opening of the Energy Outook 2018 conference in Arendal, south-east Norway, hosted by GCE Node, the Norwegian Oil and Gas association, and the Federation of Norwegian Industries. "The industry has called for a demonstration and pilot facility. "It will be a place to innovate and learn, enabling Norwegian technology and competence to develop in order to compete in a quickly evolving and growing global market," said Søviknes. "A part of our offshore wind strategy is to strengthen the supplier industry. I don’t expect to see a lot of offshore [turbines] in Norway. "We have far more accessible and unexploited wind resources onshore, but it is important to develop the industry in a new segment that has great global potential," said Søviknes. In December 2017, Søviknes tasked Norway's water resources and energy directorate to investigate "whether significant changes have occurred since the strategic impact assessment was presented in 2013". Towards the end of 2012, Norway put development of offshore wind capacity on hold, arguing the technology was too expensive, especially in comparison to its hydroelectric or onshore wind capacity. It is believed the zones will be located near operating oil and gas fields, and the power produced from the demonstration sites would be used to power those platforms, rather than exported to the mainland. Søviknes added: "The results from Equinor’s Hywind projects are very encouraging, and a Norwegian floating wind farm would reinforce our position in this market." Equinor, formerly Statoil, launched the 2.3MW Hywind Demo project off Norway in 2009, prior to its 30MW Hywind Scotland site off the UK last year.